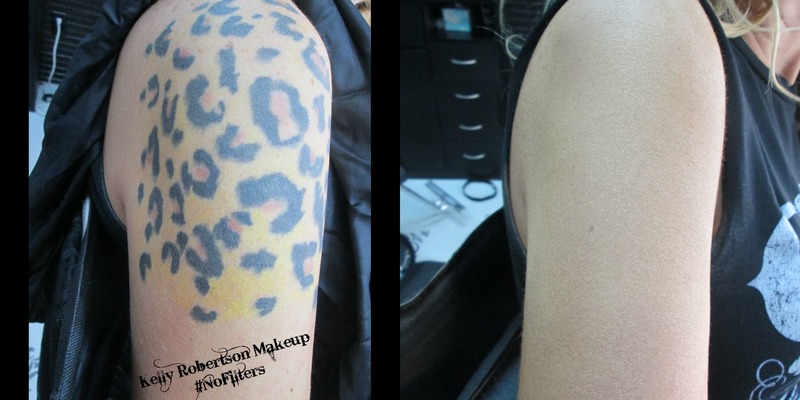 Browse this gallery to see the power of Xtreme Airbrush Makeup. When applied properly, the end result won’t transfer onto clothing or people, it’s Water-Proof and will last from 24-72 hours. No powdering and no corrector colors are needed. #NoFilters, No Kidding. 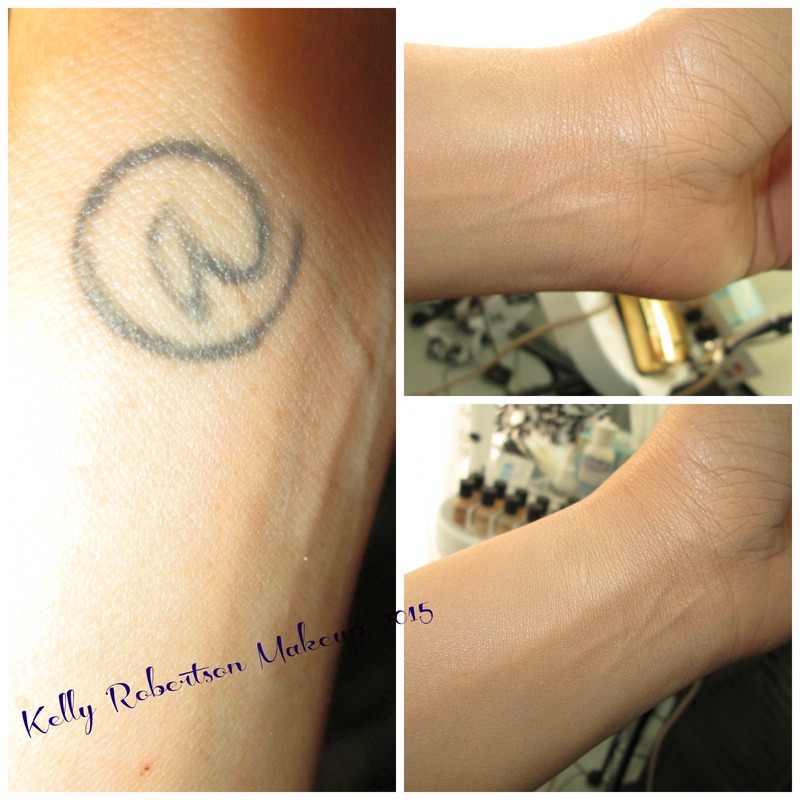 I want you to see the magic of this amazing product, Dinair® Xtreme Airbrush Makeup. 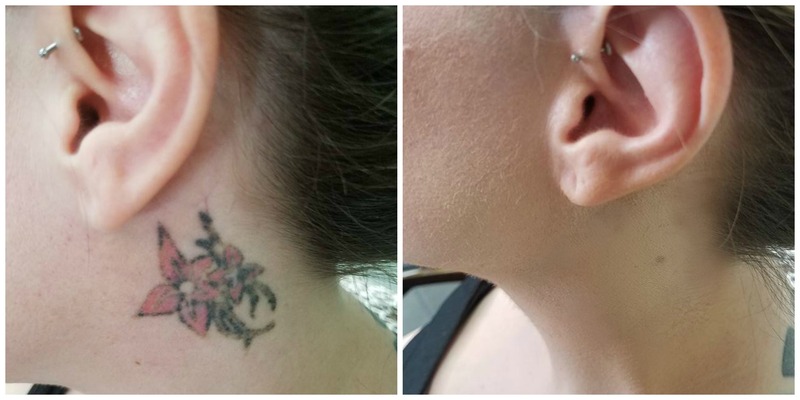 I’m able to successfully conceal tattoos, birth marks, scars, severe melasma and vitiligo without neutralizing using correctors and endless layers of makeup and powdering. 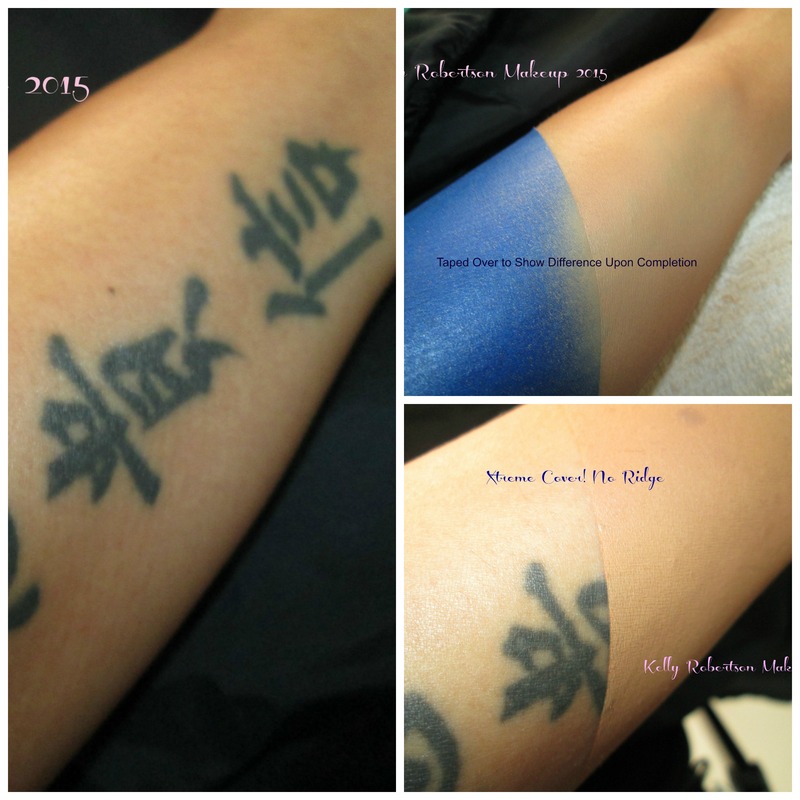 If you have a condition that requires daily cover up, let me show-you-how you can duplicate your own concealing at home. This product has been life-changing for so many clients and may be just what you’ve been looking for. 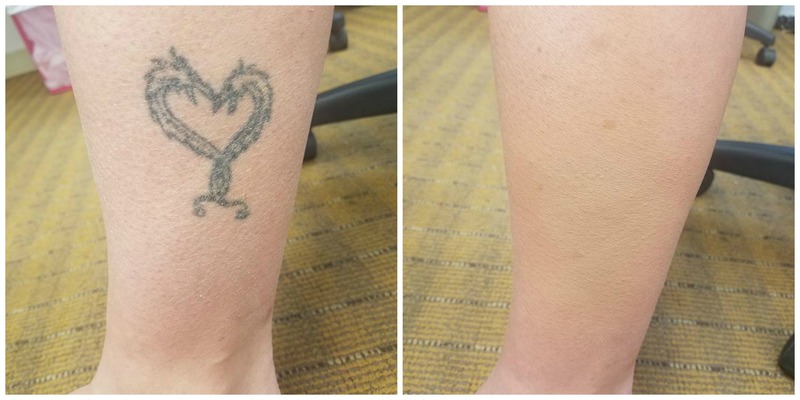 Please Contact me and we’ll set up a private appointment at my studio where we can spend some one-on-one time together on your personal “recipe” — I’d love to teach you how to perfect your own cover-up application. As an Educator for Dinair® and a member of their Pro Makeup Team, I’m also an authorized dealer. I have compressors and product on hand so you can take system home and get started right away, plus, I will provide continued support. I am also happy to list everything you’ll need and you can purchase independently on- line. The compressor kit and products are very reasonably priced and meant for everyone, not just the professional makeup artist. Just like anything, the more you practice, the better and faster you’ll get at your cover up. Preparation is key for a flawless application and result. 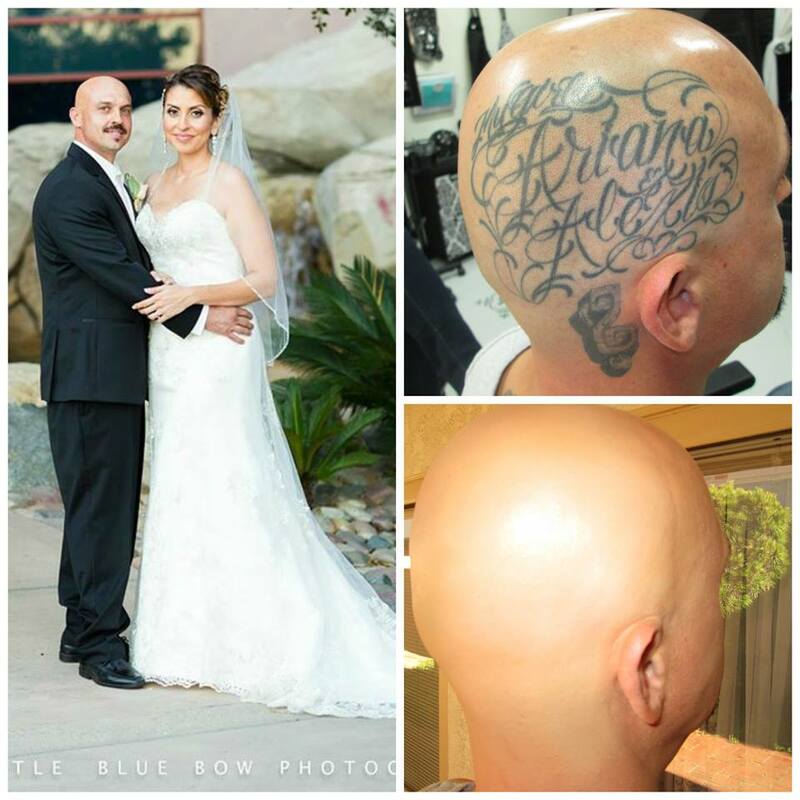 Complete removal of all hair to include peach fuzz is necessary when doing any type of cover-up because makeup sticks to hair and blocks product from reaching the skin — eventually, the hair will mat and will create a dark shadow. Blending the makeup for a natural look is also important, and using tricks such as adding spots and brightening the skin with makeup highlighters and reflectors will create dimension and distracts the eye. Unless you know “it” is there, no one will see the cover up and since all Dinair® makeup products are HD friendly, the camera loves it. 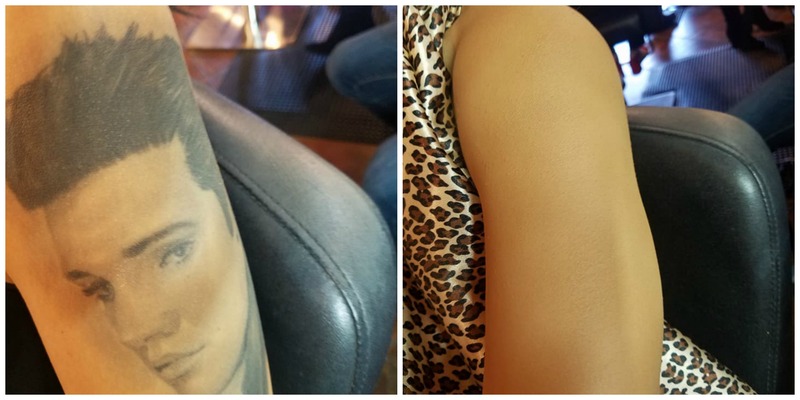 Scars can be concealed, however, any “raised” skin areas to include those within tattoos will still show — I have few photos in my gallery that you will be able to see what I’m talking about. 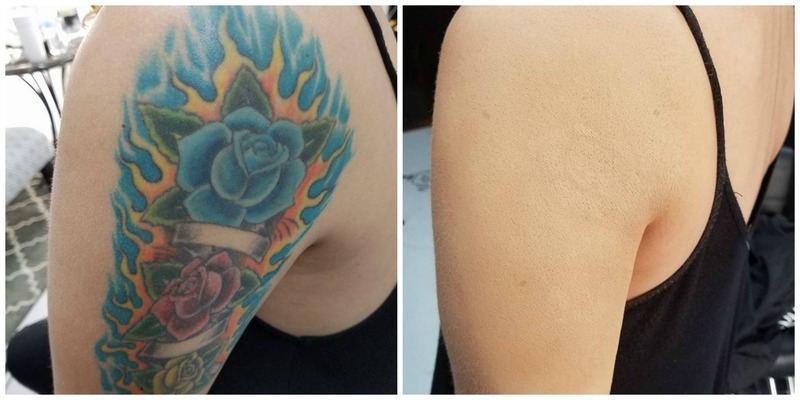 Raised skin comes from a heavy hand during tattooing (outlines in particular) and for some, an allergic reaction to a particular ink color(s). 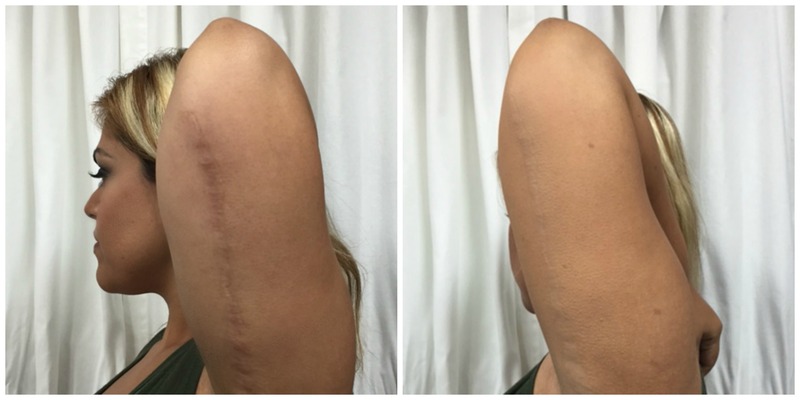 In the case of surgeries, it’s common that post-surgery care to include topical applications and not wearing compression garments lead to a more severe scar. 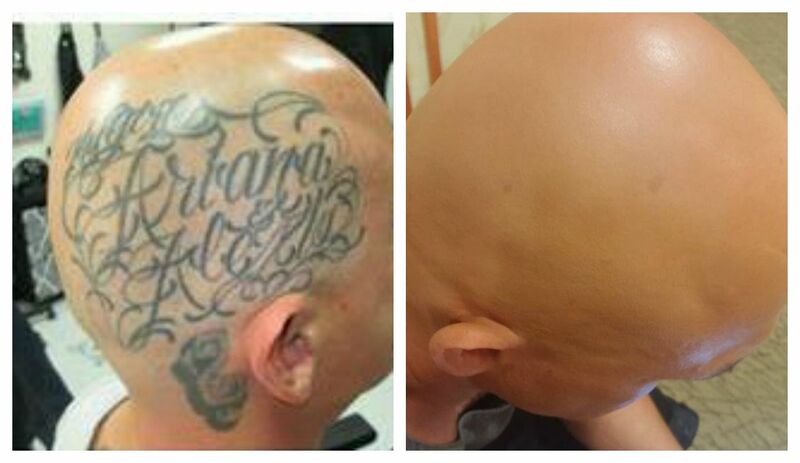 Getting Married and want a Cover-up? A Trial is a Must. 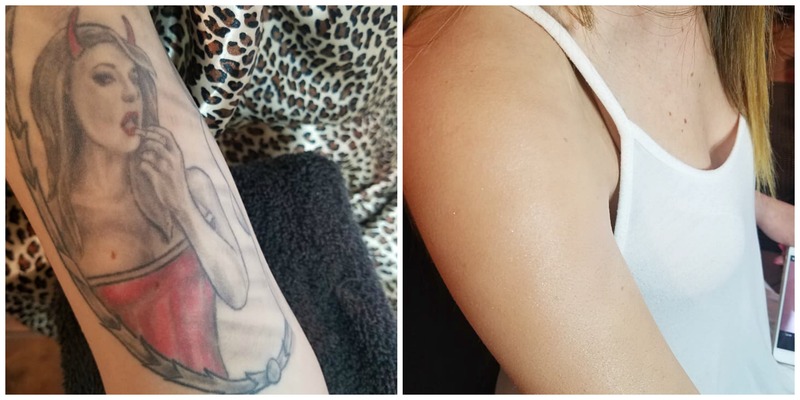 Because some tattoos/skin issues are quite easily concealed and other, more complex tattoos and skin issues arent, so I won’t be able to accurately quote your cover-up until I see it. 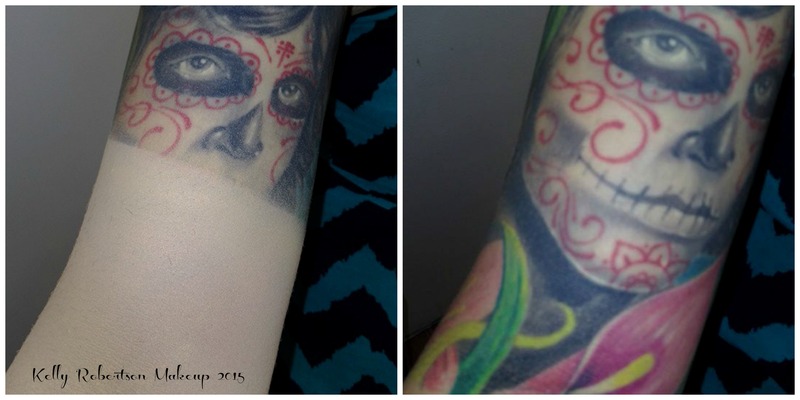 Costs vary depending on the type of cover-up, body location, colors, scarring and other raised skin issues, size and my time to perform the work. Contact Me, consultations are at no cost, of course! Jessica S. said… “From the moment I spoke to Kelly on the phone, I knew she was going to be my saving grace! We spent hours together figuring out the makeup formula that would work best to cover my birthmark and finally when we got it right, she wiped it all off and made me do it. Needless to say, I wiped my face many times but she never gave up on me and now, I cover my stain every day in my bathroom and it’s changed me life. I smile every day now too! Thank you Kelly for being YOU!